Megan Hall, who is accused of killing a prominent Pennsylvania businessman, has turned herself in to police. 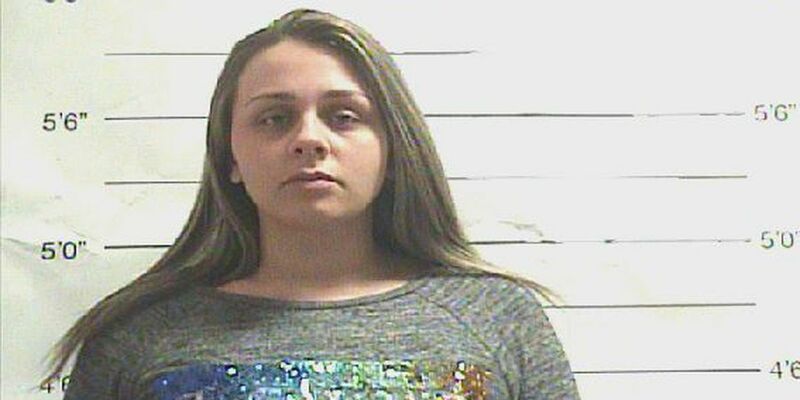 NEW ORLEANS (WVUE) - A woman accused of killing a man in a Treme hotel room made a court appearance Thursday (March 28). Megan Hall, 25, faces second-degree murder in the Feb. 28 stabbing of Pennsylvania businessman 62-year-old Patrick Murphy. Murphy was found in bed by an employee of the Empress Hotel. He had been stabbed once in the neck and twice in the abdomen. During Thursday’s testimony, an NOPD detective said surveillance video showed Hall and Murphy check into the hotel around 2:10 a.m. They were in their room for about an hour and half, then Hall is seen exiting the room and quickly leaving the hotel around 3:42 a.m.
Murphy was the owner of Murphy Jewelers located a couple hours north of Philadelphia. One of Murphy’s close friends said he was visiting New Orleans with his wife at the time of the murder. According to Jefferson Parish court records, police arrested Hall for prostitution in 2014 and 2017. On Thursday, Hall’s defense attorney argued that his client did not go to the hotel with the intent of harming Murphy, and asked that the charge be downgraded to manslaughter. The state said there has been no assertion from Hall that this was a case of self-defense, adding that Hall left the victim to die that morning. Hall is in jail on a $750,000 bond.